Personalised 450ml Oasis D.Line insulated double walled stainless steel thermos food jar. 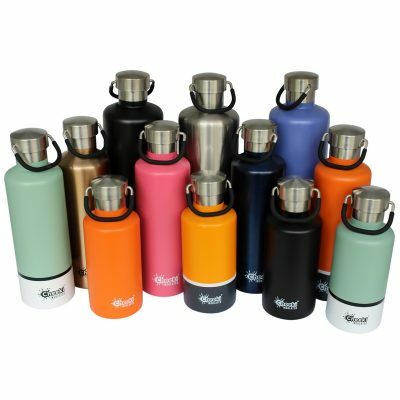 This vacuum thermos food flask is great for keeping food warm or cold until lunch time. It will keep your food warm for up to 7 hours (a great tip is to re-heat the container by putting hot/boiling water in for 10 min or so before putting the hot food in) – perfect for taking left overs for lunch. 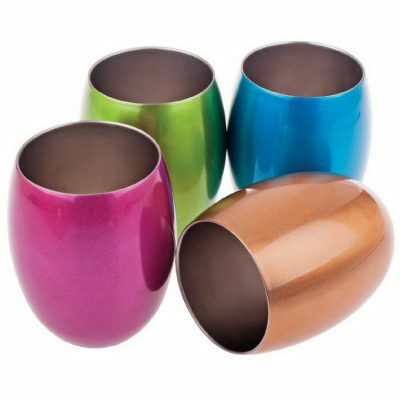 It will also keep your food cold for up to 9 hours, so great for taking food like yoghurt, salad etc for lunch. Keeps 450ml and is 15cm high. 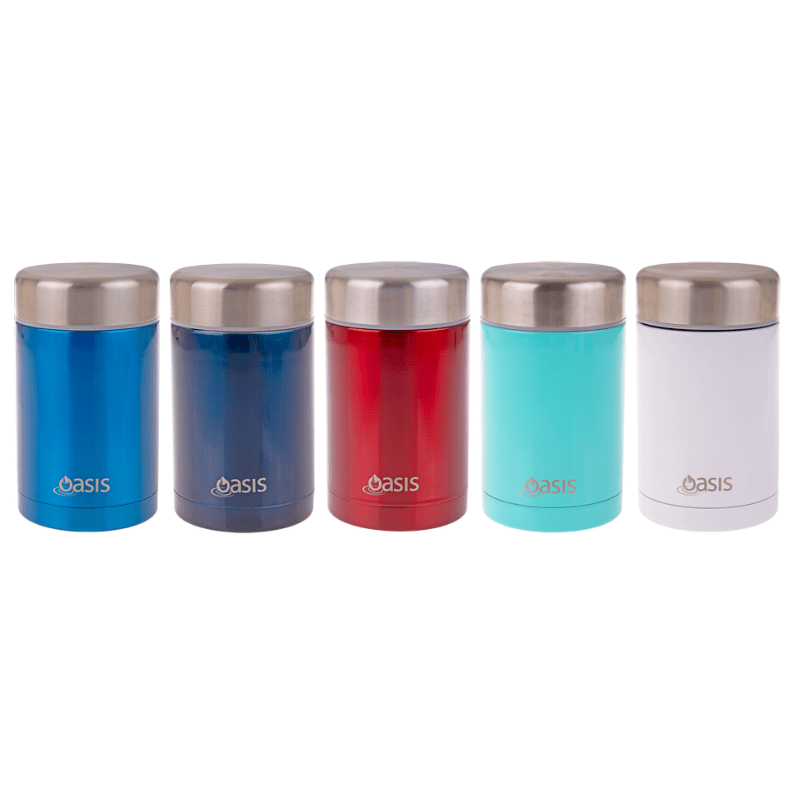 This Oasis thermos food jar is great for bringing hot lunches. It is so nice just to be able to pour a leftover stew or curry in to this jar instead of making a sandwich. And bonus at work there is no need to preheat your meal at lunch time as all that prep was done in the morning. It is just a great idea to preheat the thermos with hot water, before filling your warm lunch into the thermos, so the food stays nice and hot for several hours. It can also easily hold a good sized salad if you prefer to use it for cooler meals sometimes.